Can I add a sunroom or roof to my deck? 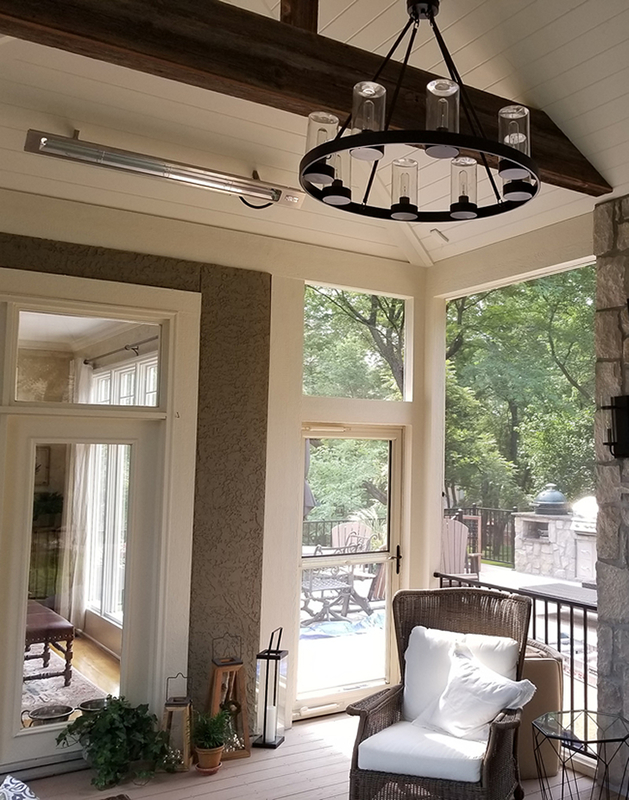 One of the most popular questions this year from attendees at the show was if they can add a sunroom, roof, or screened porch to their existing deck. The answer to this question is usually yes, with qualifications. Whenever a roofed structure of any type is added to an existing deck area there are several issues that if neglected could create future problems. The first important issue is the building code requirements for a roof. In all cities and counties in the Kansas City area roofs require a building permit, even when added on top of an already existing deck. This permit is required regardless of whether the structure will have screens, windows, or be open. It is a mistake to assume that because the deck is existing the roof is automatically legal at the same size. Some homes have existing decks that were built without permits and are too large or too near the property line to roof the deck without changing the design of the existing deck to meet current code sizes and setback requirements. In addition some cities have different setback requirements for roofed structures than for decks. We are your trusted Kansas City deck builder! Adding a roof to an existing Kansas City area deck first and foremost requires building permits. The second important issue has to do with the deck strength and its original build quality and design. A great many decks have been built that only adequately hold up as decks, without the additional weight of a roof structure, walls, or windows. In some cases additional bracing, columns or beams need to be added to the existing deck structure to support the added weight of the proposed roof. In other cases it may be less expensive to tear down the deck than to repair it enough so that it can permanently support the new roofed room or porch. 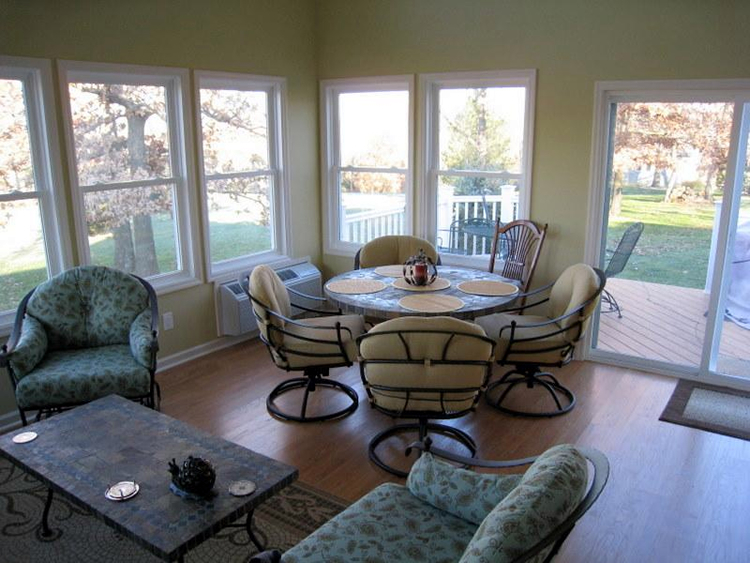 If you are considering a screened porch or sunroom for your Kansas City area home, call on Archadeck of Kansas City! Deck bracing and additional support columns may be necessary for adding a sunroom to your existing deck. When a roof or wall weight is added to a structure not designed and constructed to support it can sag, pull away from the house, leak, and or create danger of future collapse. We have been called out to examine many sunrooms and porches built on poorly constructed older decks that have caused multiple expensive problems for the homeowners. The upside is as long as your deck is properly built and is rot free it can usually be repaired or reinforced, if necessary, to use as the base for a roofed structure. Transforming your deck into a roofed structure will offer you more hours of enjoyment in your outdoor living space each year. 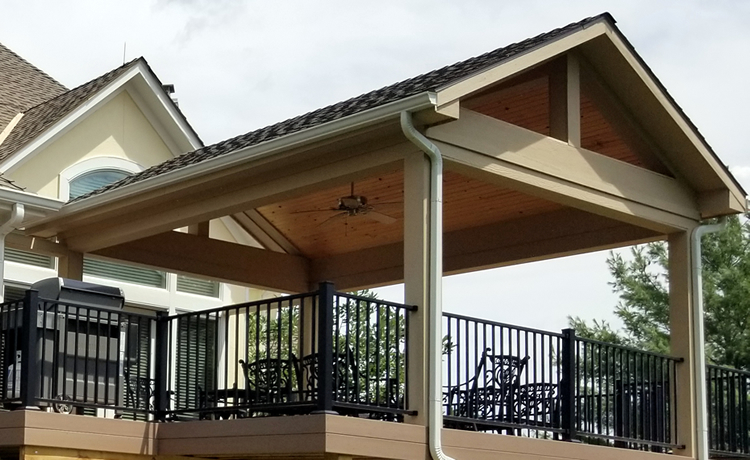 Archadeck of Kansas City is a full-service outdoor living design and build firm, and we can help you transform your deck into a roofed structure. While we would not advise that such an undertaking be performed as a do-it-yourself endeavor, if you are considering doing this as a DIY project, it could be a good investment to hire an engineer, architect or professional builder to advise you about the structural design and support. If you are considering adding a roof to your Kansas City area deck, give us a call for a free consultation at (913) 851-3325 or drop us an email. We look forward to working with you to design the perfect new outdoor living space for your home.